Welcome to the Official Suishin-Ryu Batto-Do Ken Bu Jiku Website for the UK and Europe. 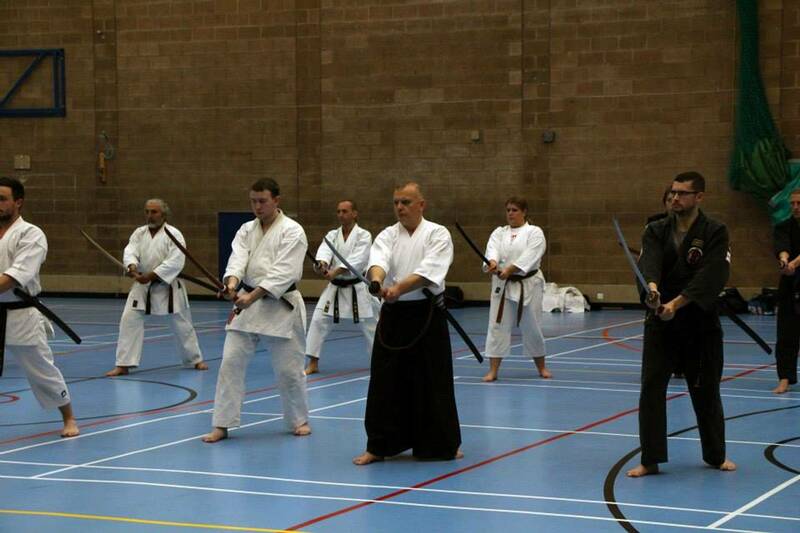 At Genbu-Kai UK, we teach Suishin-Ryu (formerly Toyama-Ryu) Batto-Do under Shihan Fumio Demura. Our club is named Suishin-Ryu Batto-Do Ken Bu Jiku. 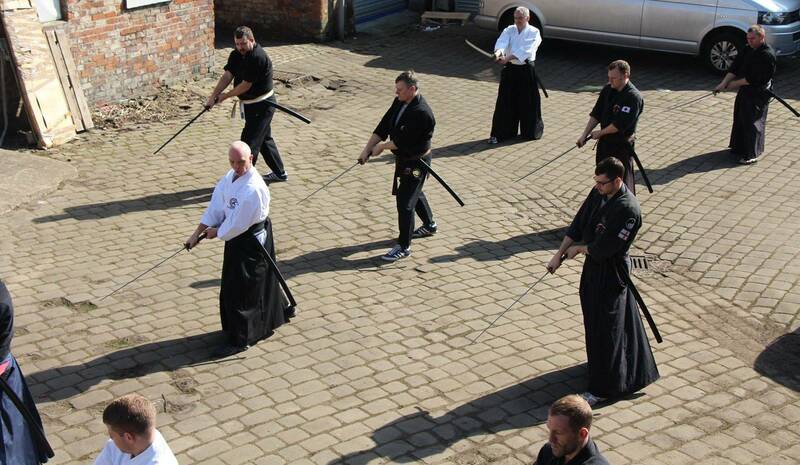 We are located just outside Manchester, England and hold regular weekly training classes. Classes are open to anyone, so if you want to have a go please get in touch. 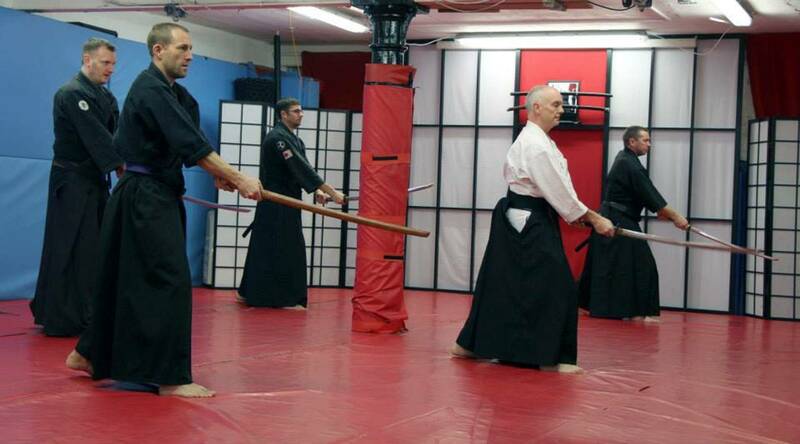 We also have a sister Dojo which is located in Andalusia, Spain. Congratulations go out to Sensei Julian Mallalieu on his recent adventures in the USA at our Honbu dojo in Los Angeles under the ever watchful instruction of Shihan Fumio Demura. 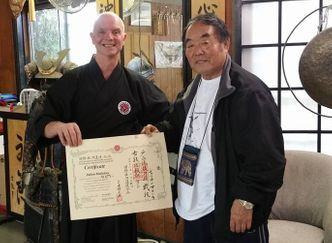 During his trip, Sensei was graded for his Nidan (2nd Dan) in Suishin Ryu Batto-Do. Although it was a very tough grading, needless to report that Sensei passed. Whilst out there, Sensei was also promoted to Regional Director in Suishin Ryu Batto-Do for the whole of Europe. This is a fantastic achievement and his dedication to martial arts has not gone unnoticed. Following a successful grading alongside Sensei Julian Mallalieu, Sensei Ricardo Romero from our Spanish sister dojo, graded to Shodan (1st Dan). Following this, Sensei Ricardo was also promoted to Vice Director for Europe. Overall, it's been a fantastic trip to the Honbu dojo in Los Angeles all round! It has been over a week since the first Suishin-Ryu grading for Genbu Kai UK and we are all still coming down from the high. Everybody tried their best and well done to all that took part. We will all find out how we have done soon. It's that time of the year... It's time to pick up the pace and strengthen those weak areas. Learn those Katas, remember your Notous. The date for your diary is 19th March 2016. For more information on the wheres, and how much please contact Sensei Julian Mallalieu.